Whether you want to admit it or not, Amazon isn’t making your brick and mortar store irrelevant – you are. The in-store shopping experience doesn’t have to lose out to online competition; after all, consumers are drawn to compelling shopping experiences that can’t be provided online. 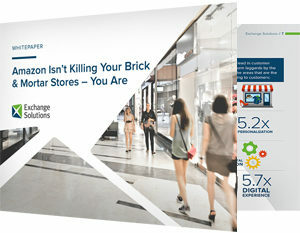 This whitepaper offers strategies on how to provide a more relevant in-store customer experience.